I am so proud of my girl, she is donating her hair in the morning! Okay, sorry for the proud Momma moment, it happens to the best of us! If you looking for fun things to do in Florida this summer check out the Florida section under the Events and Reviews Tab above. There are more and more summer fun deals popping up all around. I updated a couple of my favorites in our Summer Picks section. Things like the Regal Cinemas $1 Movie Express and KidsBowlFree.com are great options for rainy or hundred degree days when being outside is just not an option. Better yet, these are Nationwide programs so even if you don’t live in South Florida you can participate! The Summer Saving Pass for 2015 has been published, and this is my favorite one. This pass gets you admission all summer long to Lion Country, Miami Seaquarium, Miami Metro Zoo and The Museum of Science and Discovery for $56 for Adults and $46 for kids. This is an incredible deal if you plan to go to make a trip to any 2 of these facilities. In addition the Museum of Discovery and Science is another thing to do when the summer rains or heat prevent anything else. 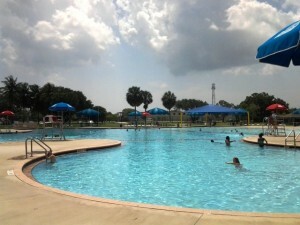 Click Here for a post about one of our trips to Lion Country Safari using the Summer Saving Pass. 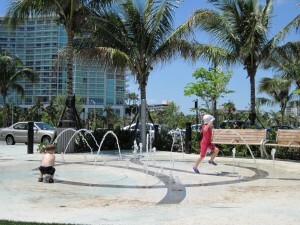 This entry was posted in Weekly Lists and tagged Kids Events, Museums, parks, reviews, South Florida, Splash Pad, Summer Deals, things to do in florida by Cynthia Buckley. Bookmark the permalink.